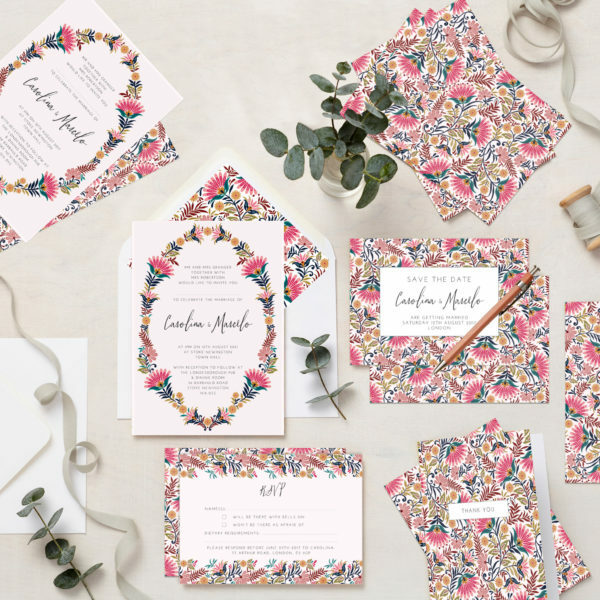 Our Martha wedding stationery design is made up of a beautiful stylised floral pattern in a soft natural palette of pinks, ochres, olive greens and teal with a delicate pink background. 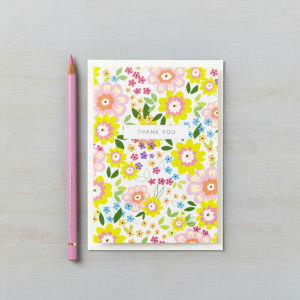 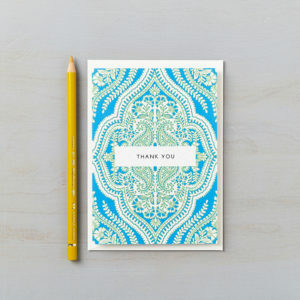 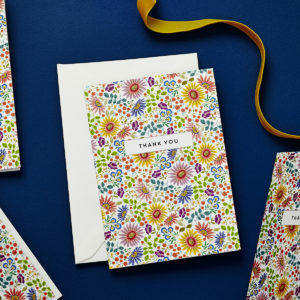 The gently intertwining flowers and leaves of these thank you cards form a border around the carefully chosen romantic script lettering and modern serif font. 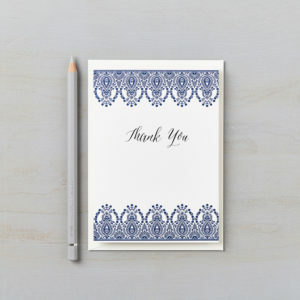 Printed onto beautiful soft white card they are the perfect thank you from your wedding.